This company was founded by Leopold Buysschaert and Georges Dupont in the early fifties. Pierre Buysschaert was the next owner. In that period the company was mainly active as supplier to mechanical workshops and garages. In 1990 the company was taken over by Luk Buysschaert. L.Buysschaert NV starts focussing more and more on supplying jewelers and goldsmiths. This led to the own production of machines under the brandname "BUKO"or BUysschaert KOrtrijk. Today the company enjoys both national and international fame. 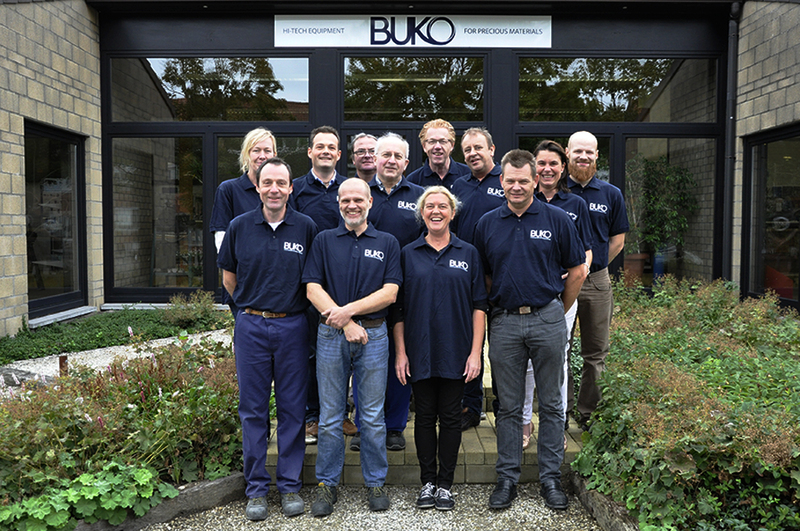 Luk Buysschaert sets a step aside at the end of 2015. The new dynamic entrepreneur Kris Vierstraete wants to expand the strengths of BUKO nv in Belgium and worldwide. Together with this take-over the brandname BUKO will also be the new companyname. The unique combination of wholesale and machine building remains the core of the business ! The mission of the company can be found in the new base line. To realize the slogan we can trust on an experienced team of sales people, engineers and technicians.